Somebody to Love by Whistler Studio / Windham Fabrics. 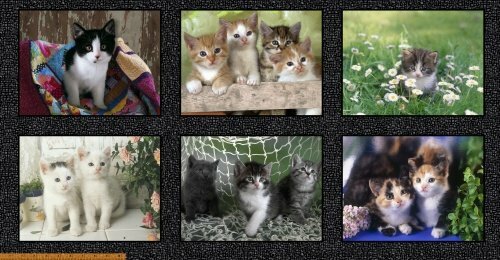 Adorable kitten panel, digitally printed. 21" repeat x width of fabric (42-44). 100% cotton.